Do you want to hide your real identity while using the WhatsApp? There are many people who don't share their phone real numbers but still use the WhatsApp. Yes, it is possible if you want to activate WhatsApp without mobile number verification. Just you need to bypass the WhatsApp verification code or verifying a fake mobile number while creating a WhatsApp account. Don't worry. You can do this without any SIM card on your phone. The process is also helpful when WhatsApp cannot verify your phone number by message or call. 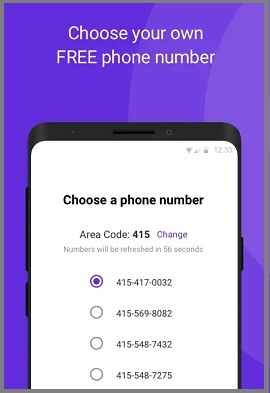 Fake mobile numbers are the random numbers which are available online. You can use those and get live WhatsApp verification code online. Still, there are many apps which can help you to activate WhatsApp without phone number by using the message & call verification feature. 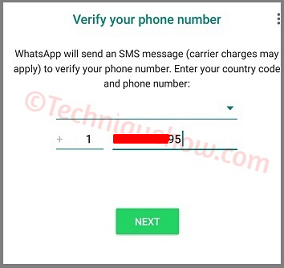 In this content, we have described a few methods to activate WhatsApp using a fake mobile number on your device. This method requires the TextNow app. This application assists you in Whatsapp installation without SIM verification. In this method to use Whatsapp messenger without sim verification, you need to install Textnow app on your Android, iPhone or windows phone. Using the Textnow number, you can install Whatsapp without sim card. You need to have internet connectivity over wifi, which is a must. You will get a Free TextNow number once installation & setup is completed. Run Whatsapp on this temporary number. You can use this number for the verification step. After waiting for few minutes, Whatsapp verification of SMS will fail. Whatsapp asks to verify by the call action method. Tap on the call verification method. You will receive a call from text now number for an interactive voice response code of verification. After entering this code, you are ready to use Whatsapp without sim card. It is great news that people can enjoy the application without sim and phone verification. We recommend all of you to use the method for general and friendly use and do not play any pranks that might make someone disturbed.